SKU: 90110. Listed in: Pirates. Tags: Pirate, Skull Cap. 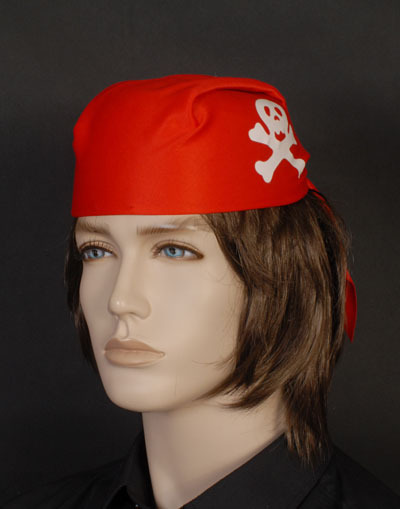 Pirate skull cap hat in red. Has a skull and cross bones on the front.